Can Creditors Revise TRID Loan Estimates? b) affect YOUR eligibility or change the value of the loan security. e) if YOU indicate an intent to proceed more than 10 business days after the Estimate or request loan term revisions. Changed circumstances are extraordinary events beyond the control of you or the lending parties, OR changes or inaccuracies revealed in the information the lender used in preparing the Loan Estimate, OR new information on you or the transaction that the creditor did not use in the Loan Estimate. 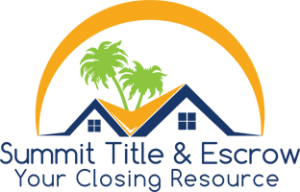 LOOKING FOR SUMMIT TITLE IN FLORIDA?